Statistical methods are used at each step in an applied machine learning project. This means it is important to have a strong grasp of the fundamentals of the key findings from statistics and a working knowledge of relevant statistical methods. Unfortunately, statistics is not covered in many computer science and software engineering degree programs. Even if it is, it may be taught in a bottom-up, theory-first manner, making it unclear which parts are relevant on a given project. 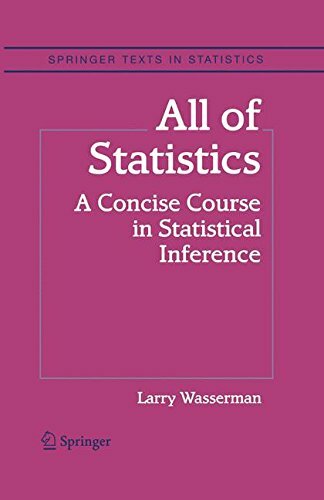 In this post, you will discover some top introductory books to statistics that I recommend if you are looking to jump-start your understanding of applied statistics. I own copies of all of these books, but I don’t recommend you buy and read them all. As a start, pick one book, but then really read it. Photo by Luis Rogelio HM, some rights reserved. 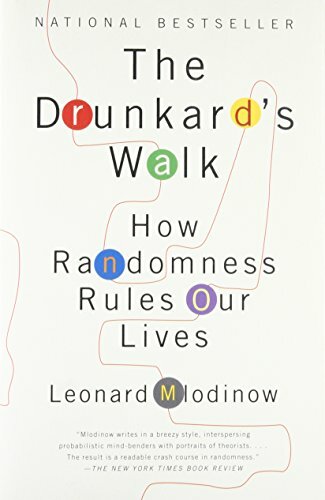 Popular science books on statistics are those books that wrap up the important findings from statistics, like the normal distribution and the central limit theorem in stories and anecdotes. Do not overlook these types of books. They’re a quick and fun to read. They often give a fresh perspective on dry material. They’re for the lay audience. They will help show you why a working knowledge of statistics is important in a way that you will be able to connect to your specific needs in applied machine learning. 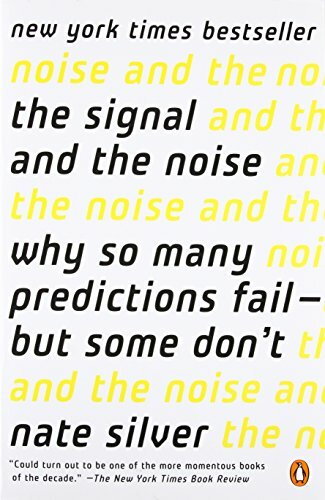 Do you have a favorite popular science book on statistics? You need a solid reference text. A textbook contains the theory, the explanations, and the equations for the methods you need to know. Do not read these books cover to cover; rather, once you know what you need, dip into these books to learn about those methods. In this section, I have included a mixture of books including (in order) a proper statistics textbook, a text for those with a non-math background, and a book for those with a programming background. Pick one book that suits your background. The book includes modern topics like non-parametric curve estimation, bootstrapping, and classification, topics that are usually relegated to follow-up courses. The reader is presumed to know calculus and a little linear algebra. No previous knowledge of probability and statistics is required. Statistics, data mining, and machine learning are all concerned with collecting and analysing data. Written by Timothy C. Urdan. 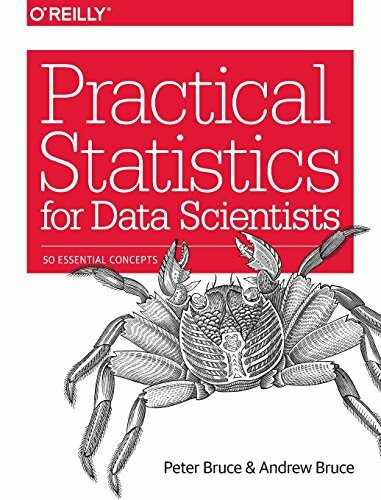 What is your favorite statistics textbook? Once you have the foundations under control, you need to know what statistical methods to use in different circumstances. A lot of applied machine learning involves designing and executing experiments, and statistical methods are required for effectively designing those experiments and interpreting the results. This means that you require a solid grasp of statistical methods in research context. This section provides a few key books on this topic. It is hard to find good books on this topic that are not too theoretical or focused on the proprietary SPSS software platform. The first book is highly recommend and general, the second uses the free R platform, and the last is a classic textbook on the topic. Written by Paul R. Cohen. Computer science and artificial intelligence in particular have no curriculum in research methods, as other sciences do. This book presents empirical methods for studying complex computer programs: exploratory tools to help find patterns in data, experiment designs and hypothesis-testing tools to help data speak convincingly, and modeling tools to help explain data. 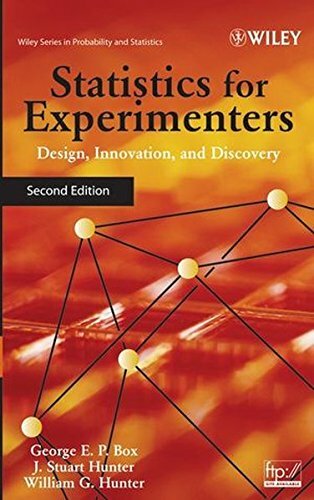 Although many of these techniques are statistical, the book discusses statistics in the context of the broader empirical enterprise. The first three chapters introduce empirical questions, exploratory data analysis, and experiment design. The blunt interrogation of statistical hypothesis testing is postponed until chapters 4 and 5, which present classical parametric methods and computer-intensive (Monte Carlo) resampling methods, respectively. This is one of few books to present these new, flexible resampling techniques in an accurate, accessible manner. Written by Roy Sabo and Edward Boone. This textbook will help graduate students in non-statistics disciplines, advanced undergraduate researchers, and research faculty in the health sciences to learn, use and communicate results from many commonly used statistical methods. The material covered, and the manner in which it is presented, describe the entire data analysis process from hypothesis generation to writing the results in a manuscript. Chapters cover, among other topics: one and two-sample proportions, multi-category data, one and two-sample means, analysis of variance, and regression. 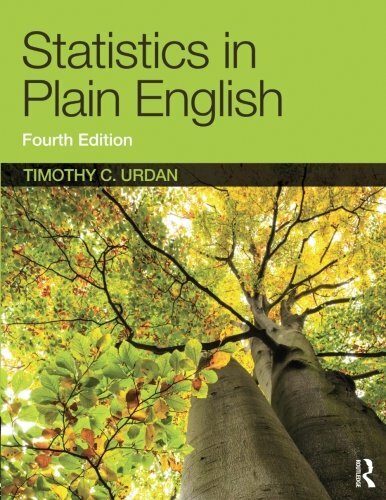 Throughout the text, the authors explain statistical procedures and concepts using a non-statistical language. This accessible approach is complete with real-world examples and sample write-ups for the Methods and Results sections of scholarly papers. The text also allows for the concurrent use of the programming language R, which is an open-source program created, maintained and updated by the statistical community. R is freely available and easy to download. Written by George E. P. Box,‎ J. Stuart Hunter, and,‎ William G. Hunter. 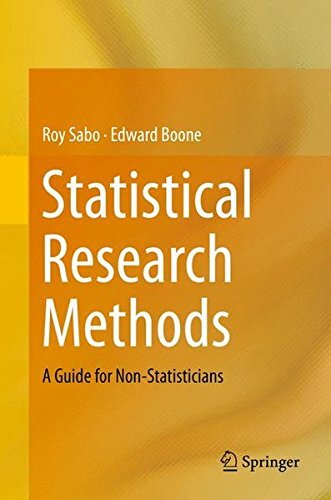 Do you have a favorite book on statistical research methods? You need to have a grounding in statistics to be effective at applied machine learning. This grounding does not have to come first, but it needs to happen some time on your journey. 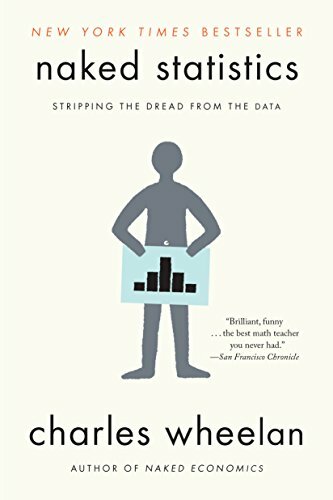 Have you read any great books on statistics? The post Statistics Books for Machine Learning appeared first on Machine Learning Mastery.